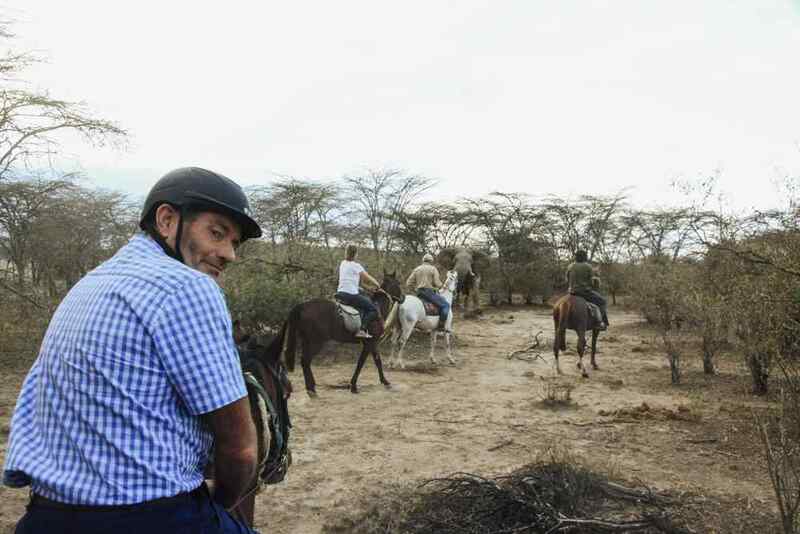 Chris Denton had never ridden before and confesses he never really liked horses… that is until he and his wife Dianne decided to tick off a bucket list item and go globetrotting through the Maasai Mara in Kenya. What he experienced was more than he could have ever dreamed. My wife, Dianne and I own and manage “Sea Horse” Diamond Beach – a uniquely horse friendly upmarket vacation home on acres, where you can bring your own horse and ride on the beach (three hours north of Sydney). This YouTube clip gives you an idea of what you can expect. We have been married for 35 years. One of the main reasons our marriage has been so successful is that Dianne spends much of her spare time with her horses, so I can go surfing whenever I want. What is your earliest memory of horses? I met Dianne when she was 17 years old. She was the horse woman. I didn’t have anything to do with horses until I met her. The Maasai Mara ride in Kenya. I was about to go for a surf and as healthy as a horse (pun intended) one morning, and found myself in intensive care that same evening with the surgeon advising us that I was in serious trouble and may not survive the operation. Dianne and I realised that life can be a lot shorter than you think. 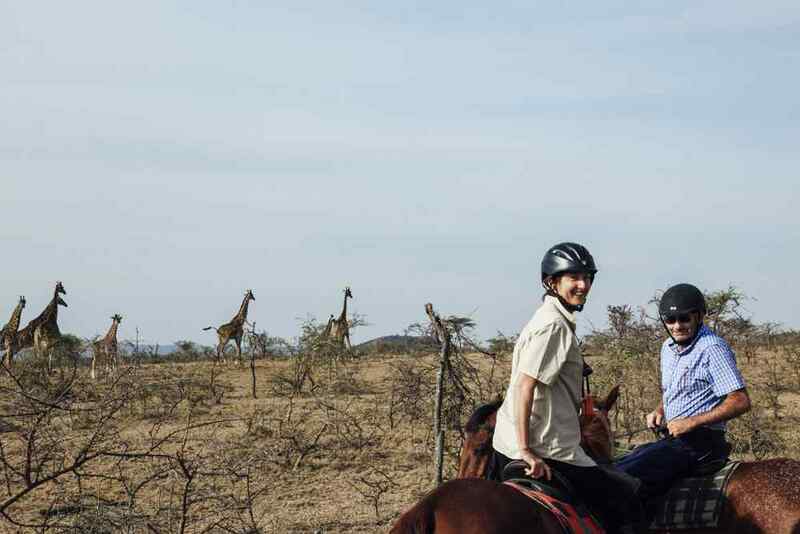 We decided then to cross the first item off Dianne’s bucket list and ride horses in Africa. Was this ride celebrating or marking a significant moment/milestone/achievement in your life? And if so, would you mind sharing? Yes a big achievement… survival! Dianne and I were ready to go home on the first day. We thought that it wasn’t possible to have a more exciting and memorable day than what we just experienced, but each day just kept getting better. * Crossing the Mara river which was full of hippos and gigantic crocodiles. * At the Hippo River, sitting at the table with crisp white linen and candles, with a cold beer in hand, watching the hippos in the river and the multitude of wildlife (zebras, giraffes, etc) walking along the river bank at sunset. I hate being away from the ocean, I don’t particularly like horses, (I had to learn to ride for this trip), I don’t like travel. I didn’t want to know anything about this trip and would have avoided it if I could. I have been to Fiji, Hawaii, Thailand and Bali and didn’t enjoy any of it. We have such a great lifestyle here that I can’t see the point of going overseas. My perfect day is a surf in the morning. It was life changing and I will never forget what an exciting and fun time that we had. If I had such a great time (being a non-horsey person) I can only imagine what it must be like for someone who is passionate about horses! Get rid of any expectations you may have about the trip and what you may experience… it will be way beyond your imagination and 10 times as good. Your sense of adventure and your courage. A big part of the experience is being way out of your comfort zone every day.